Pink lilies in a garden pond. This view of a waterlily pond and koi fish was inspired by a botanical garden in Hawaii. 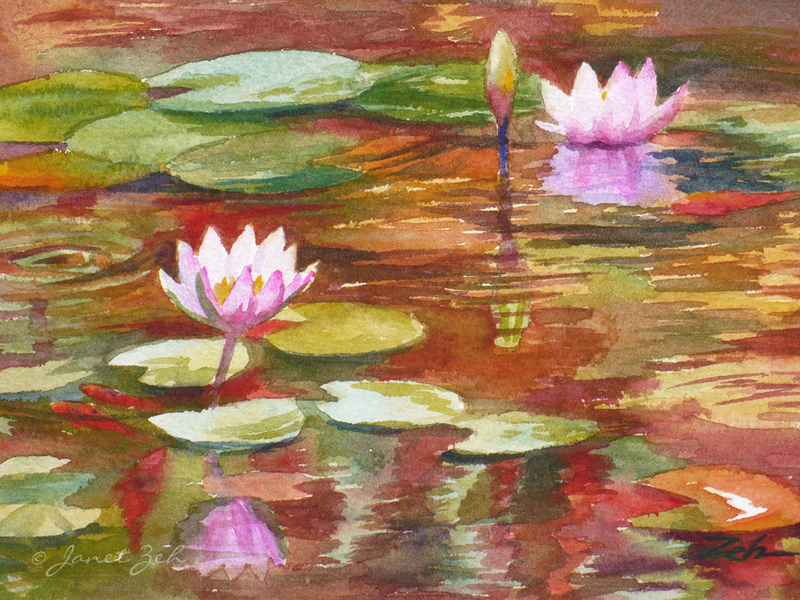 Waterlilies print comes in several sizes and may be ordered framed, unframed or on canvas. Click the Order Print button below for sizes, options and prices.